Feel like a cowboy as you ride over rolling plains and mountains on horseback. Whitefish horseback riding is a great way to enjoy the spirit of the West. Horseback adventures are our specialty at the Bar W Ranch. From 1 or 2-hour trail rides (open to the public) to complete equestrian lessons and training. Rides start at $50. Proud to be THE OFFICIAL HORSEBACK OUTFITTER for Glacier National Park. Call 877.888.5557 to book. 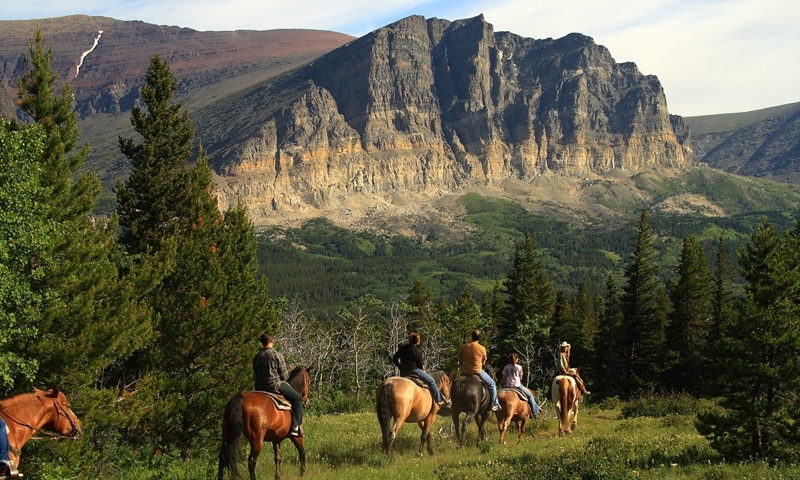 Plus, trail rides out of West Glacier near the Park's west entrance. For about the same price as a 2-hour trail ride, you can enjoy up to 50 different activities at our aerial adventure park. Come see what you can do. Book online or walk-in. Glacier National Park: Swan Mountain Outfitters is the only horseback riding outfitter inside the park and offers a variety of services at their Apgar, Lake MacDonald and Many Glacier locations. One of the most popular rides is out of Many Glacier to Cracker Lake and features stunning scenery and great wildlife viewing. 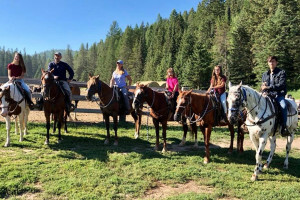 Swan and Flathead Mountains: For exploring the Swan and Flathead mountains around Kalispell, check out Artemis Acres Paint Horse Guest Ranch. You can get a riding lesson or take a day trip over a variety of terrain. Whether wanting to enjoy a 1-hour trail ride at a Whitefish Ranch.or looking for an all-day adventure into the wilds of Glacier National Park, there is a horseback outfitter for every rider. Some of the local ranches even offer a day of horseback riding with lunch or sunset dinner options.